Designed and made exclusively by Ethan Lord. 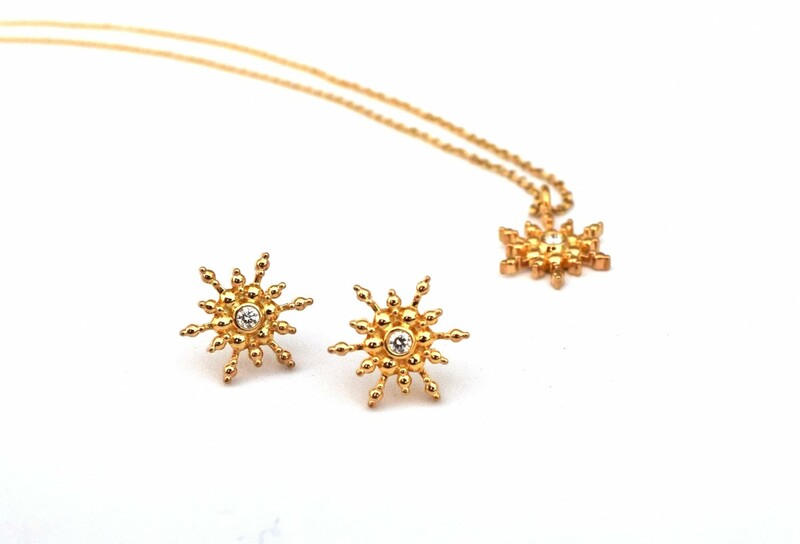 Diamonds weighing .10ctw are set in gold plated sterling silver snowflake stud earrings. Wear for the holidays and all year long. Designed and made exclusively by Ethan Lord. 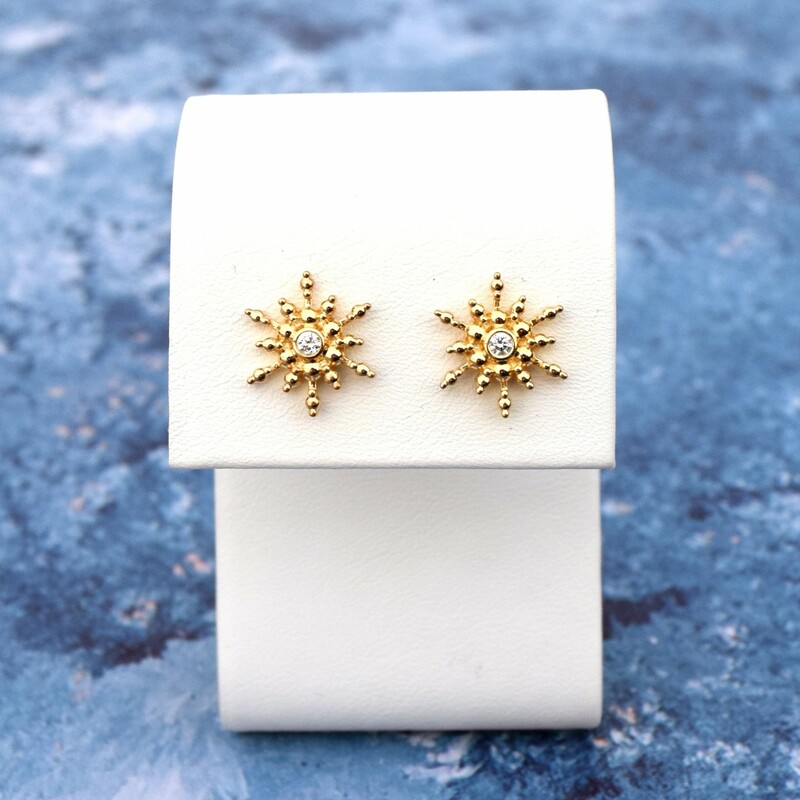 Diamonds weighing .10ctw are set in gold plated sterling silver snowflake stud earrings. 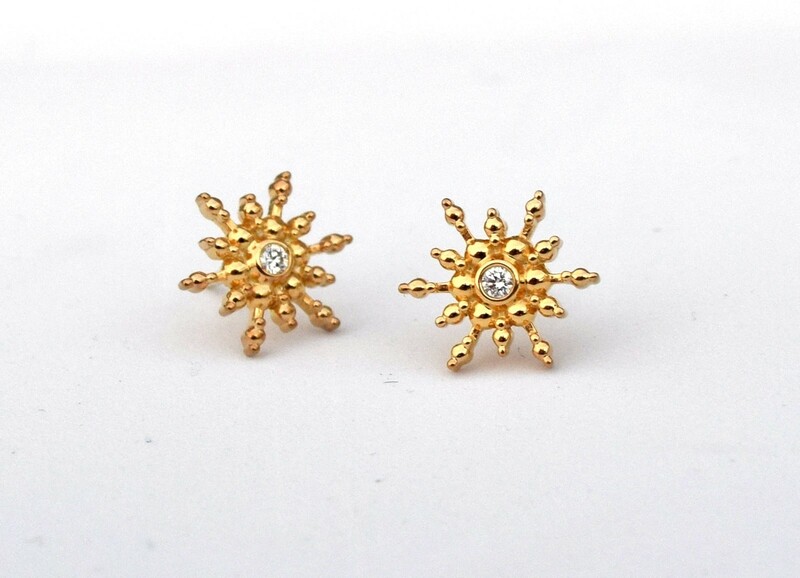 Wear for the holidays and all year long. Medium tension earring backs.